This week, I finally cut Eisley's hair for the first time. I've trimmed her bangs for ages now (with mixed results, for sure…oh, the motherhood learning curve!) but after she recently decided to snip off a few random chunks of hair herself (it was A DAY, for sure) I figured maybe it was time I took her in to get her hair evened out. But then I realized that there had to be a way I could do this myself and avoid the hassle (and price) of going somewhere to have someone else do a relatively simple trim. Thank goodness for Google! 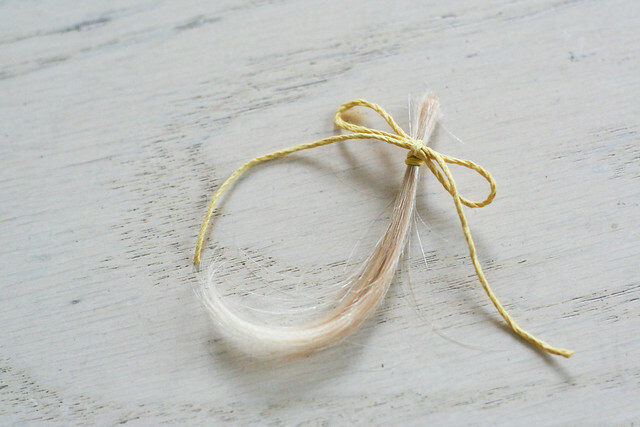 I came across a few websites that recommended sectioning the hair up in 3+ sections and then just trimming them one-by-one. Easy peasy, right? For once, it actually was. Hallelujah! 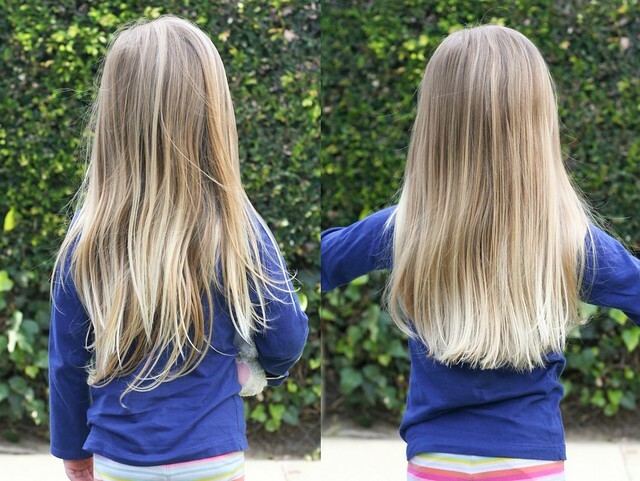 It's nice because at this age—and due to the fact that she doesn't have that much hair—I didn't have to worry about cutting it completely straight. And there's something strangely satisfying about cutting someone else's hair. (Is it just me?) The hardest part was getting her to sit still for the entire five minutes it took me to complete the process. Eisley, sit still, please. We're almost done. Look straight ahead. No, not down…straight ahead. Can you stop wiggling? Okay, we're almost done. Be still like a statue! Be still! Just a few more snips! LOOK STRAIGHT AHEAD! WE'RE ALMOST DONE! I'm actually glad I went ahead and did the cut myself. That first layer felt like I was taking off a lot of length, but all I really ended up doing was taking her hair up to the first natural layer. To be completely honest, I love the "before" more, because her hair is all flowy and natural and makes me all happy and emotional. But now her hair is (relatively) even and looks much thicker. Having it one length makes her seem so grown up! She keeps telling random strangers that she got a haircut when we're out and about, which makes me smile. Then she'll lean over to me and ask, all concerned, "My hair is going to grow back…right?" 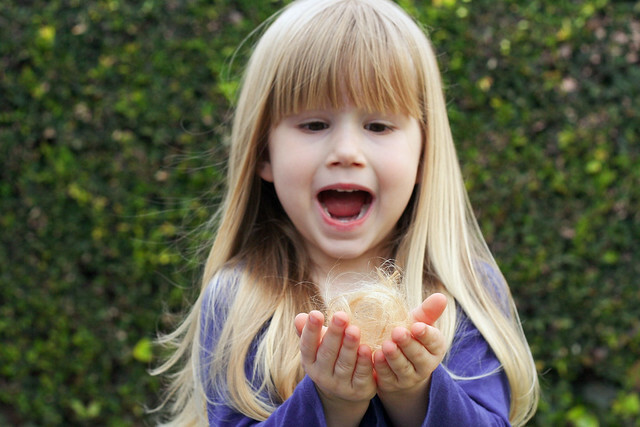 I'm also the parent who has my child hold a ball of her own hair and pose for a photo. Completely normal, I assure you. I think you did an excellent job! Her hair looks so full and thick! I love her bangs too. Wow - she has such thick hair! You did a great job.